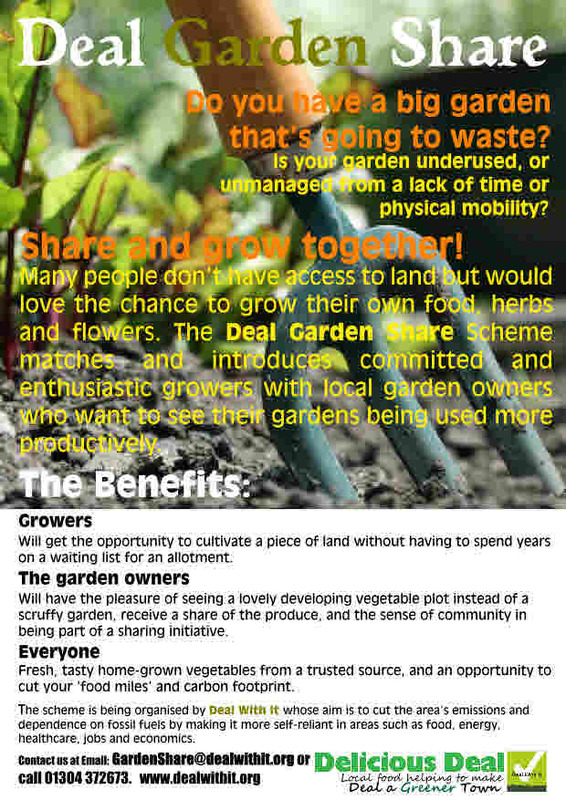 'Grow Deal' is our theme of food related projects in the town. All of these have at its heart the focus of fostering 'local food'; whether growing your own in a container, garden, community garden, alottment or in a small holding. foods in gluts and being able cook local fresh food for cheap meals which are healthy and taste good. Local food means less food miles and less carbon. It also means fresher and better quality food which is good for our health. It can also mean a stronger local economy and local jobs. But it can also means a stronger community that is sharing skills, produce and having fun together. If you are interested in any of our projects or are keen to get started on something in own garden or street or neighbourhood then please get in touch. Working with SE Railway 'Adopt a Station' Scheme. We have raised money from donations for five large planters which are planted with herbs and veg. Meets Wednesday afternoon and Saturdays mornings. We match people who have a garden and cannot maintain it with those without a garden who want to grow food. Produce is shared between grower and sharer. 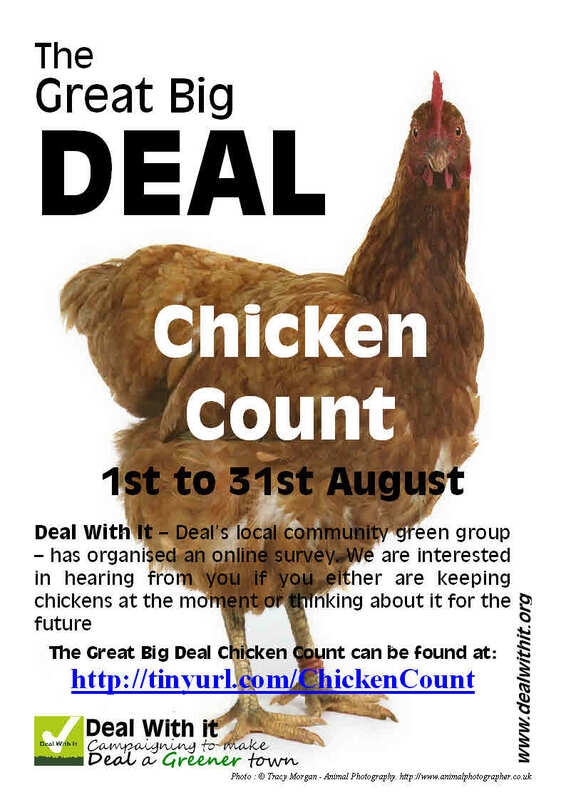 We run an bi-annual 'Big Deal Chicken Count' to see how many people are keeping chickens in their gardens and run a number of 'Open Chicken Runs' where people can see how easy it is to care for chickens & how rewarding it is in eggs and chicken love!